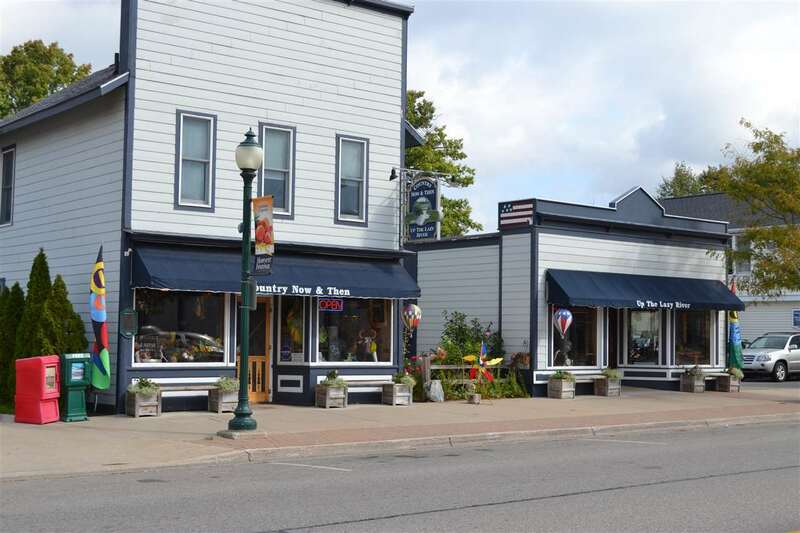 211 E Water Street, Boyne City, MI.| MLS# 456789 | Commercial Real Estate in Petoskey, Emmet County MI. Petoskey Homes for Sale, Property Search in Petoskey. Attractive building in excellent condition. There are endless possible uses with a potential for three separate businesses in one building. Presently, the space is being used as a wonderful home decor and gift shop. The building sits on two combined city lots while overlooking the flowing Boyne River and is a well recognized storefront in town. The upstairs was formally an apartment and is currently being used as an office. This space is easily expandable to make a fantastic second floor living space. Live just steps from work making for an easy morning commute. Rarely does such a lovely space in the midst of downtown become available..